Hi! For the past few days, I have been trying out on Spring – MVC, Hibernate, Maven, MySql and JSON . So I thought, if I could blog about it today with a simple example. 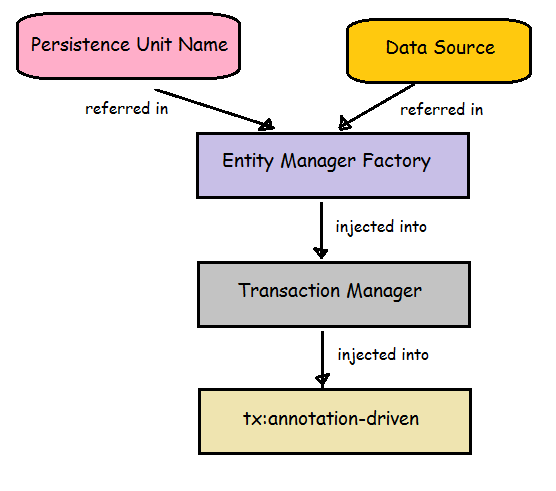 In this post , I have used Hibernate to persist data in the back end and JSON to display results in the front end. You can get the below example’s complete source code from my GitHub link here —> https://github.com/AishwaryaThangavelu/Spring-Repository/tree/master/MusicStore. 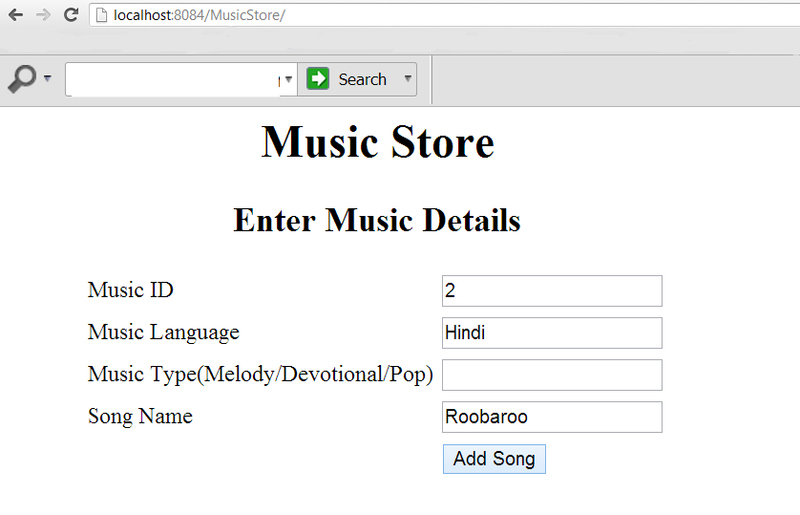 I have considered MusicStore example where I Add Songs and display a list of Songs. I have used Maven coupled Spring-mvc-archetype. This Spring-mvc-archetype makes me too comfortable providing me the template as such.My duty is to just to work on the main coding part. Now let’s connect our applicationProject with the database. In line 31 POJO class maping is specified. Here I have specified @Service inorder to inject it into Service Layer class. I have annotated this class with @Service because later , in the controller I will be Injecting this class.You can see that IMusicStoreDao is Autowired which means I have injected it in this class and that is why I specified @Service annotation in MusicStoreDao class. I have also specified @ComponentScan in Configuration class to scan through the packages containing the respective classes with @Service annotation. Below are few runtime dependencies to be added in pom.xml to avoid Logging Factory and Load Class error. and I have displayed the result . 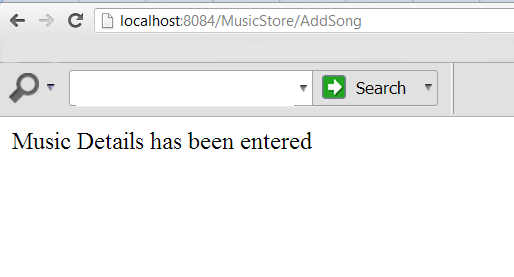 2.SONG LIST DISPLAY :Here I have used JSON format to display result. JSON(Java Script Object Notation) is a data transfer format,used for exchanging data between client and server-side application. It is much like XML. No, actually it is easier than XML bcoz it is easy to understand, language independent and has parsers available for most of the languages(one eg: eval()). It provides me the flexibility of writing just one application and runnning it on any type of application. Specify the Mapping properly in the Controller . The “REST” JSON will take care. Now when you hit the URL link, the JSON result will be as below for SongList. Hope it’s informative.. Have a great day !!! !